|The plasmid and the foreign DNA are cut by the same restriction enzyme—in this case, fcoRI. | When mixed, the sticky ends anneal, joining the foreign DNA and plasmid. | Nicks in the sugar-phosphate bonds are sealed by DNA ligase. 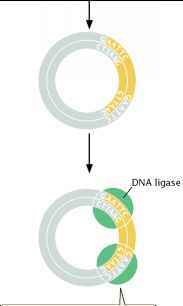 18.8 A foreign DNA fragment can be inserted into a plasmid with the use of (a) restriction cloning, (b) tailing, or (c) linkers. The plasmid and the foreign DNA are cleaved by any restriction enzyme. 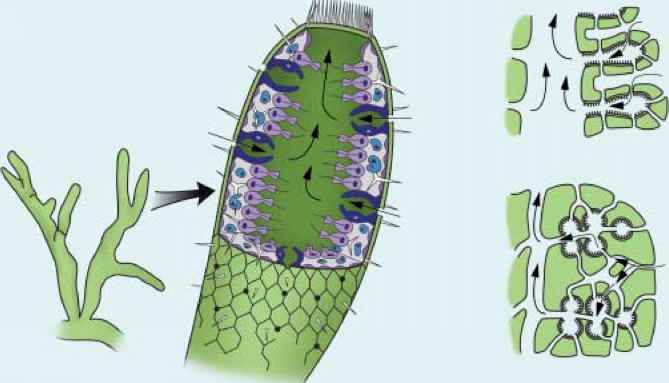 ^ If sticky ends are produced, these ends are removed by an enzyme that digests single-stranded DNA.